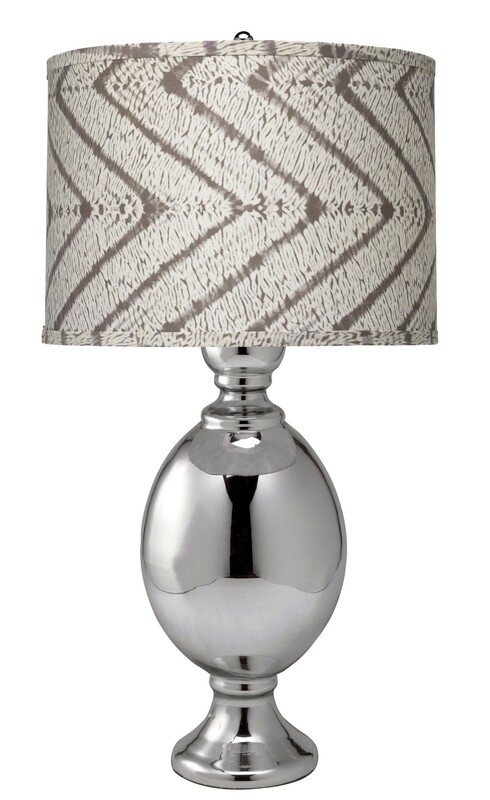 This sophisticated, yet relaxed, glass table lamp is brought to you from the Jamie Young Company. 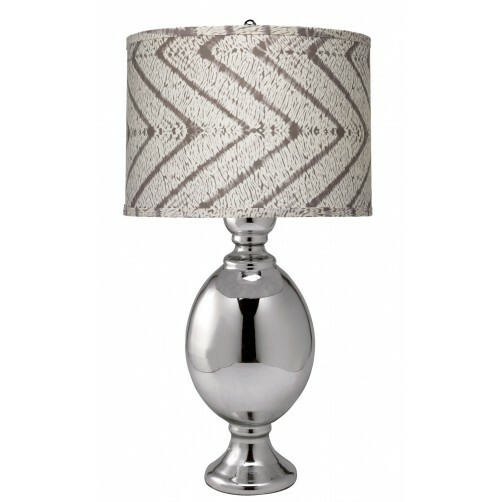 This vintage inspired mercury glass lamp base combined with an updated lamp shade in a batik print is the perfect accent for your room. Total: 18" Diameter x 35"H.
Base: 7" Diameter x 22"H.